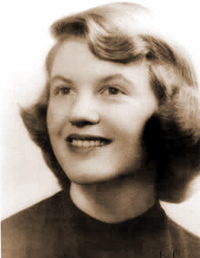 Sylvia Plath was born in Massachussetts in 1932. She published poems from an early age, encouraged by her parents. Her father died shortly after Plath’s eighth birthday, leaving her inconsolable and angry, as his illness was treatable but he refused to seek medical attention. Although pretty, popular and academically brilliant at school, Plath was a relentless perfectionist who suffered from depression throughout her short life. She died by her own hand aged 30. Her poetry explores her relationship with her children and her ambiguous attitude to motherhood. She also examines her relationship with herself, placing her fear of ageing and the torture of her mental illness under a microscope, offering a bleak and brutal insight into the reality of living with depression. Finally, her poems celebrate the beauty of nature but also analyse the hidden dangers which can lurk beneath the surface. NOTE: This is a PODCAST not a word file – download onto your iPod/mp3 player. Listen whenever & wherever you want to help you get to grips with the poet. Some say it was when Plath watched my team play that is when her depression started, I have now left the club but unfortunately she didnt hear and has taken her own life #myphilosophy.